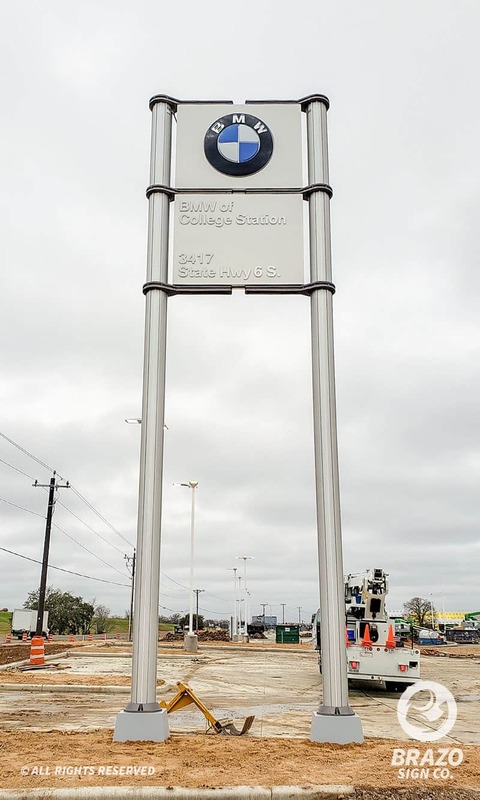 Brazo Sign Co. & United Visual Branding Team Up for New BMW Signs - Brazo Sign Co.
Brazo Sign Co. & United Visual Branding teamed up to create and install the signage for the new BMW in College Station, TX. 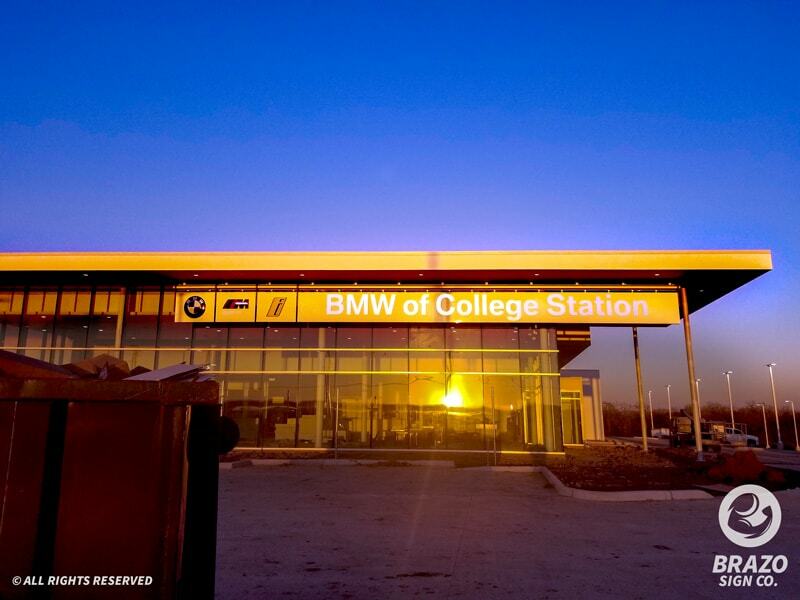 BMW of College station is now equipped with 2 building signs. One measuring 68ft by 4ft and another measuring 18in by 3ft. Two directory signs were also erected measuring 4ft by 26in along with a massive pylon sign measuring nearly 30ft tall. 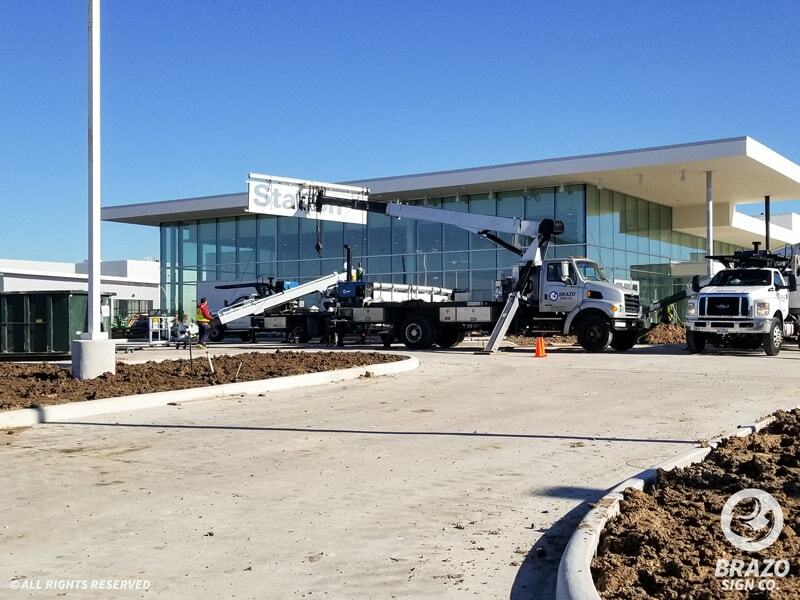 United Visual Branding crafted amazing signs for BMW in College Station, TX that are sure to catch the attention of drivers. It truly embodies the brand of BMW and portrays luxury at its fullest potential. 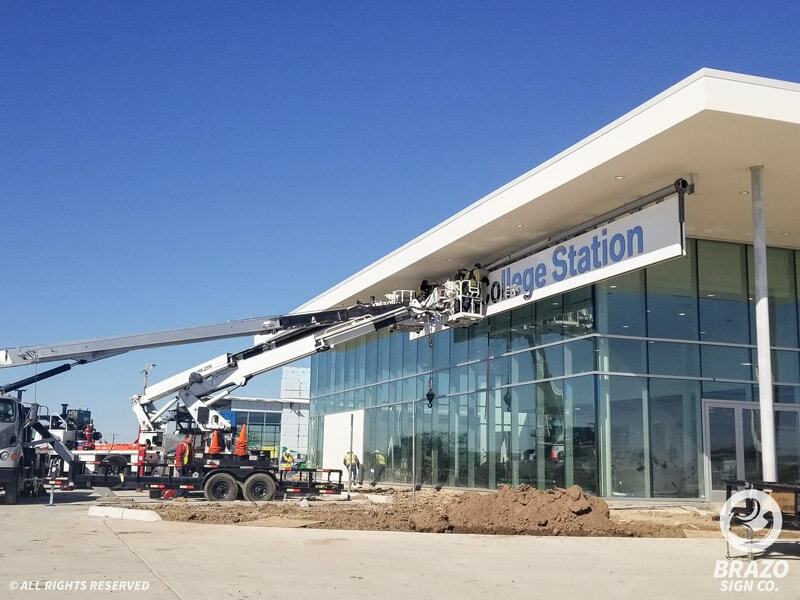 Because of the high-profile client, as well as the massive install, Brazo Sign Co. was chosen to permit and install the alluring signage. 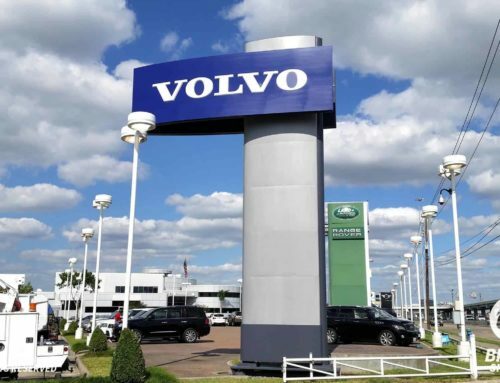 Brazo Sign Co. owns a fleet of trucks which allowed them to keep cost down on the install as well as get the job done quickly and effectively. 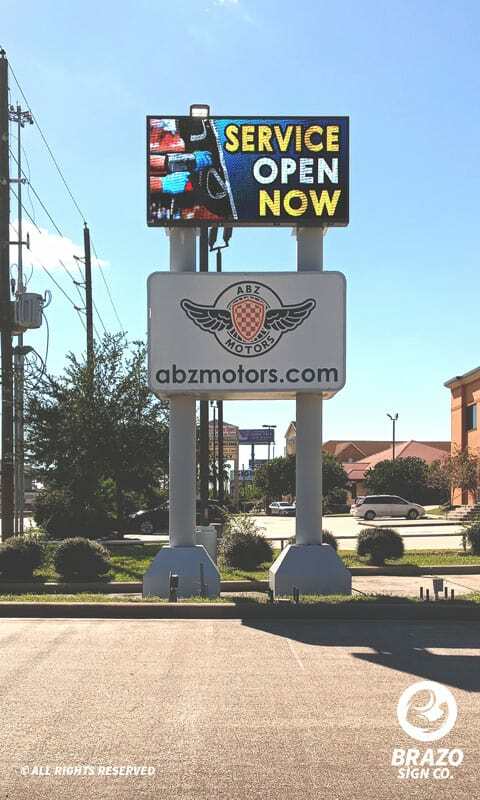 Brazo Sign Co. is well known for offering the best installation services in Houston and surrounding areas. It is no wonder why they were chosen to complete the task. 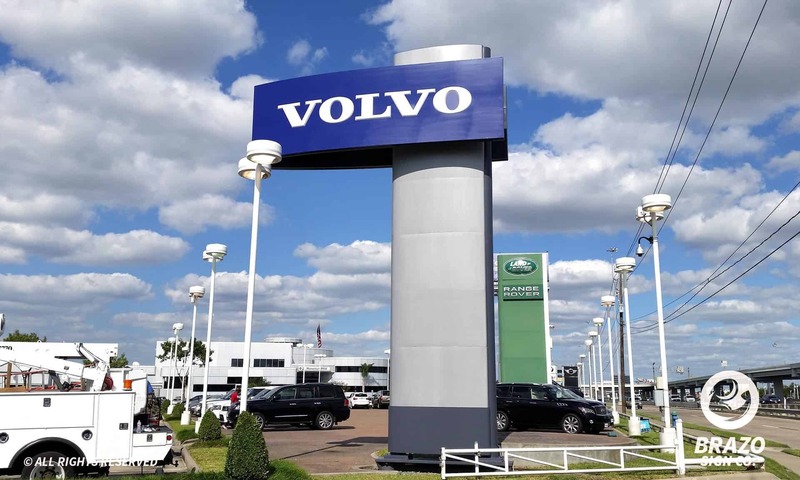 As you can see from the photos, both sign companies did an exceptional job creating and installing these striking signs. 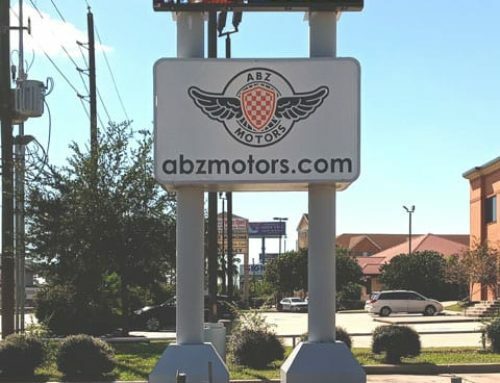 Brazo Sign Co. owner had this to say about the project.